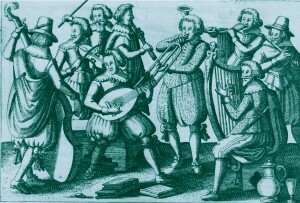 Ornamenting, diminution and improvising are essential in the study of Early Music. In this programme we show the use of these forms of expression during the renaissance and baroque era, coming from the improvisation for organ solo, represented by the introductions of A. Gabrieli, to the diminutions of madrigals in different combinations. Viadana, Castello, Marini, Buonamente and Gabrieli are among the most famous composers of the new and extravagant style: the sonata. They extracted its form from the “cori spezzati”, a common practice in San Marco of Venice, that used the architecture of the nave to divide two or more choirs onto different balconies to create a stereophonic polyphony. Based on diminution treatises, I Fedeli uses different forms of embellishments, cadences as well as passaggi, to enrich the form and the colour of those works.